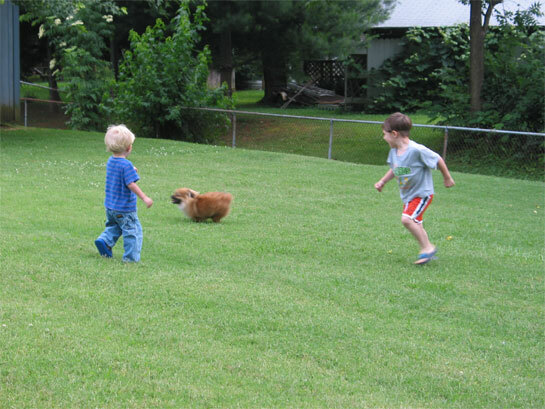 The girl that lives next to us has been working at an animal rescue center this summer. 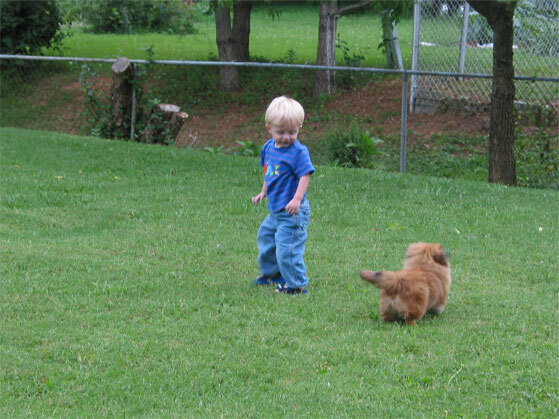 She brought home a puppy a couple of weeks ago to just play with him and let him run around in their yard. She was really wanting to keep him, but she was going to have to talk her parent's into it since it was kind of expensive to adopt him (she succeeded by the way). 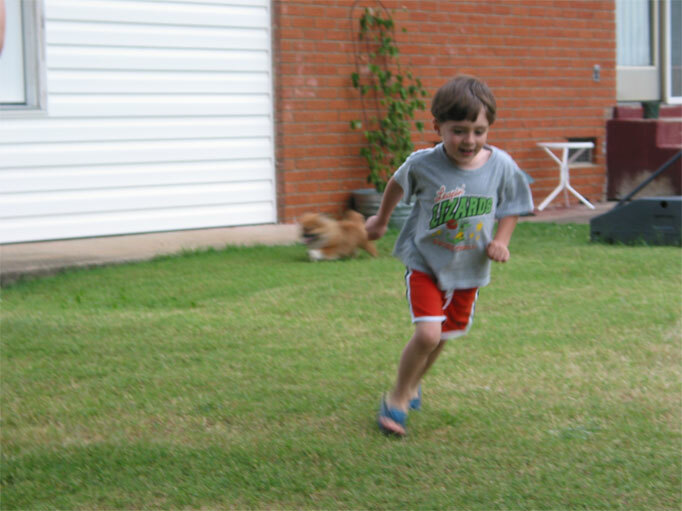 Anyway, the boys went over and played with the dog in the backyard the night she brought him home and they had a great time running around with the dog. It was a very energetic little puppy, and I think they about wore it out. It was short, with short legs and by the time they had finished chasing it/being chased by it, the poor thing was probably overheated. Cute little things though. All three of them.